Organizations that stay up-to-date on current senior living design trends can transform their facility from good to great. Focusing on the needs of your staff and residents can help set your senior living facility apart from others and create a great place to work and live. When it comes to 2018 senior living design trends, many of the trends we’ve been talking about still hold true, but we’re seeing a few more for this year we’d like to share. From our vantage point, here are the top six senior living design trends we’re keeping our eyes on. Primarily for those seeking independent living, facilities considered hybrid are made up of two to four floors, sometimes over a parking garage. Each floor has a few apartments with short hallways and elevators close by for easy and secure access. These apartments are built in a way to provide residents with the feeling of living in a one-story home. As Baby Boomers age into senior community living, they will demand a homier style of living. Individual units are being designed with a larger footprint, and during building or remodeling phases, prospective residents are helping to choose interior finishes, like cabinets and floors. Spaces for walking or soaking in the sun of a warm summer day are becoming more and more prevalent in assisted living facility design. The difference we’re seeing is that these spaces aren’t just developed as courtyards. Walking trails, larger lawns and even rooftop gardens are accessible to seniors and their guests. Many senior living facilities are embracing unique design touches in their facilities. Senior living interior design trends include selecting art or accessories that reflect the local flavor to choosing functional furnishings with a pleasing aesthetic style. Senior living facilities are working to keep an interior space that is elegant, comfortable and current with today’s design style. Luxurious design elements, like metallic finishes in kitchen spaces or handmade textiles for window treatments, furniture and accent pillows, can create a unique style that is comfortable and classy to your facility, especially if your clientele fits this luxury lifestyle. Along with creating a community feel, many senior living facilities are creating a variety of spaces that encourage socialization among residents. For example, a library and coffee shop on-site create a great space for residents and the broader community to come together socially. Some facilities are also creating spaces for residents to take part in their daily activities as a group, like cooking or gardening. Assisted living facilities that include or are closely located to grocery stores and shopping, cultural and community events, and other services is one of the top senior living design trends. In many industries, finding good employees is a challenge. One study suggests that happy employees are 12 percent more productive. Creating an environment that is comfortable and efficient for employees, and providing staff a well-designed space for breaks will go a long way in attracting and retaining employees. The latest trends include everything from improved work stations to better storage. Facilities also are giving staff their own eating areas and restrooms as well as their own separate access to enjoying the outdoors. 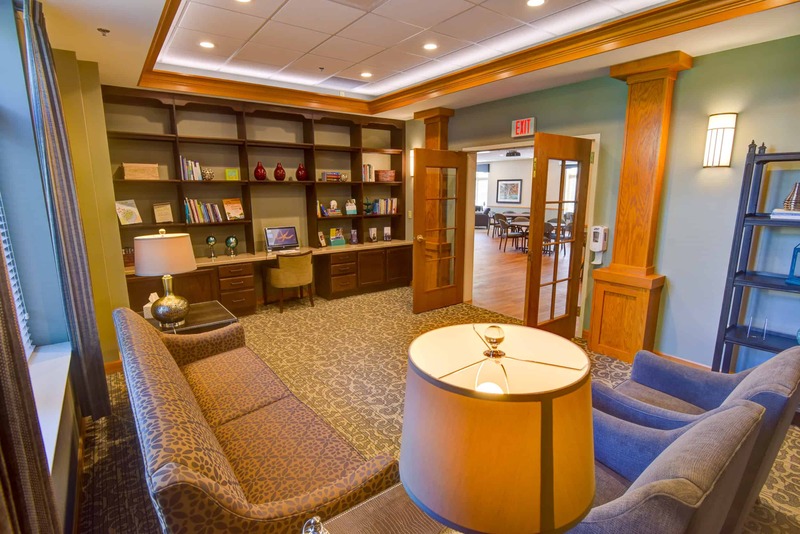 Do you want to incorporate senior living design trends into your facility? Community Living Solutions can work with you in the master planning of your facility design to evaluate your current situation and provide solutions. Contact us or call (920) 969-9344 for a full assessment to help determine your future facility design needs.